Weld Mold Company, founded in 1945, is an international organization that specializes in manufacturing specialty high-alloy welding electrodes, cored wire and solid wire applications ranging from NiCrMo alloys to high-nickel and cobalt alloys to chrome carbide and chrome manganese alloys. 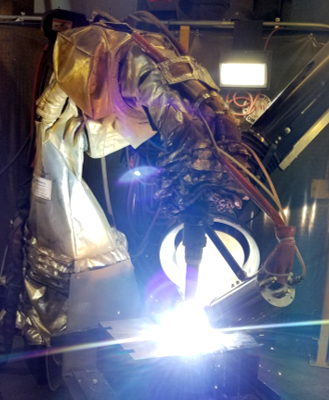 We have led the industry by developing over 3,000 products and sizes for over 70 years, including “floodwelding,” which changed the face of welding as we know it today. As a fully certified ISO 9001 organization, we are proud to be a technologically advanced supplier that provides the increased manufacturing capabilities, cleanliness and efficiency our customers demand. We are happy to back up all the work we do with strict quality systems, information systems, procedures and documentation. Weld Mold Company - your one-stop shop for specialty welding alloys since 1945. Introducing the WMC SafetyRobot®. This is our latest innovation in high deposition welding. Operators can now perform totally remote welding from the safety of a temperature controlled environment. No heat, no smoke, no fumes and no radiation. "SafetyRobot® using Weld Mold cored wires." This might be news for other manufacturers that list robot specific alloys as part of their product line but Weld Mold Company has been manufacturing robot compatible alloys for years! 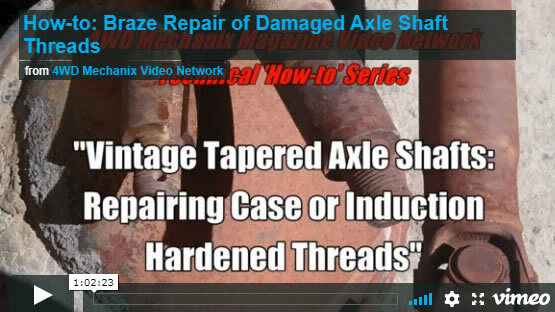 Weld Mold Company flux core, metal core and subarc wires as well solid spooled, coiled and drum packaged products have been used for years. Don’t settle for just any alloy chemistry simply because it’s available. 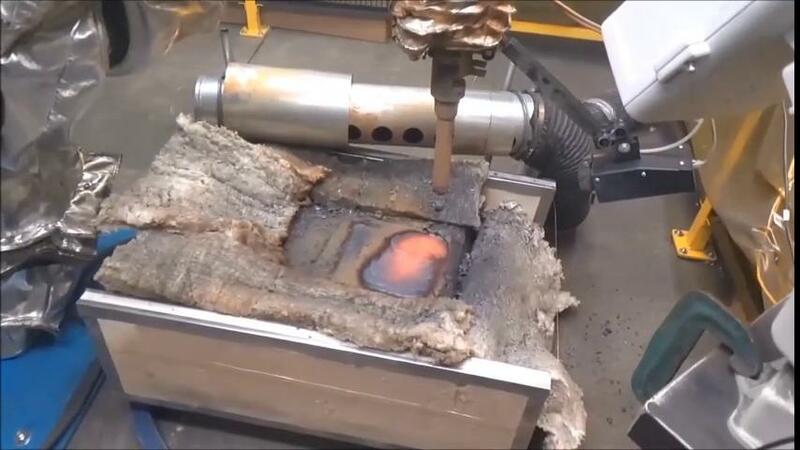 Weld Mold can build custom cored alloys for your robotic welding application. Metal cored wires have been shown to increase productivity with faster wire speeds, travel speeds and operate at lower voltages than a solid wire. Modifying a standard AWS or AISI cored wire alloy chemistry is quick and easier than getting changes done to solid wires, taking just two weeks typically from request to sample. You won’t get that with a solid wire and with just a 100 pound minimum order requirement for special alloys once they are approved, it won’t break the bank either! 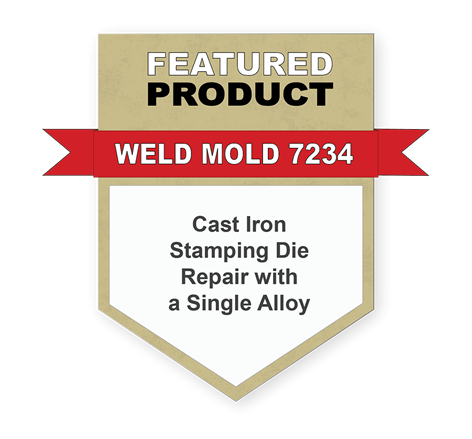 Weld Mold 7234 is a single alloy that is engineered for the repair of cast iron stamping dies and tooling. Designed to provide the desired hardness as welded in the range of 51 to 59 HRc, 7234 is used where previously two alloys may have been required to provide a high, as welded hardness: a high nickel base layer to assure adhesion and a harder capping layer to provide the required hardness, typically between 46-65 HRc. Weld Mold 7234 can be applied in multiple layers and readily accepts Ion Nitriding surface treatments to enhance hardness where required.